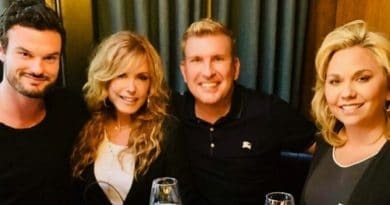 The Young and the Restless spoilers and news reveal Beth Maitland, who portrays Traci Abbott, has announced on her social media that after 26 years of marriage, she and husband Christopher Banning split. The pair made it official when Banning filed for divorce earlier this month. According to court documents, the divorce is cited to be due to “irreconcilable differences,” and they will not have a custody battle on their hands, as their only child is an adult. There also seems to be an equitable property split and no animosity. Y&R fans will be excited to know that Beth Maitland’s character is back on the CBS soap full-time. There is no doubt she will be caught right in the middle of the Abbott drama as it escalates now that big brother, Jack Abbott (Peter Bergman) is no longer a suspect in the near-fatal assault on Victor Newman (Eric Braeden). But that doesn’t mean the drama is remotely over for the Abbott family! 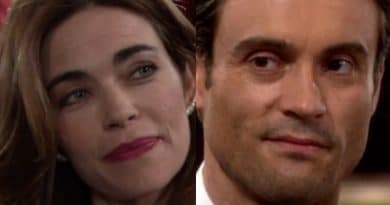 Young and the Restless spoilers tease the story isn’t done with Dina Mergeron (Marla Adams) and her shocking trysts of the past. Now that Dina has unwittingly revealed to her granddaughter, Abby Newman (Melissa Ordway), that Jack is no more an Abbott than Ashley, what does this mean for Jabot and who will have control of the family legacy? Some rumors hit that Jack and Victor may be revealed as brothers! Other Y&R spoilers from Soap Central promise a power struggle will ensue, but as it stands, if Jack’s clause holds up in court – that means Billy Abbott (Jason Thompson) and Traci Abbott are the only blood Abbotts who can take control of the family company. But does the board have confidence in either one of them to run the multinational corporation given their track records? Beth Maitland’s return to The Young and the Restless as Traci Abbott couldn’t have come at a better time! She has always been the one who seems to be the voice of reason when it comes to her siblings and is taking Dina’s failing health in stride. Is Traci the one who can take over the corporate world too, or is it better left to someone like Billy Boy Abbott? See what happens on Y&R the week of April 16-20, what Victor tells Nick on Monday, and does Hilary’s fainting spell mean a #Hevon baby is on the way? Be sure to check Soap Dirt often for updates, news, and the latest The Young and the Restless spoilers!